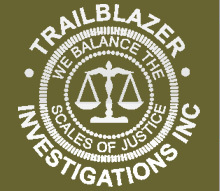 Trailblazer Investigations Inc. is an investigative agency that specializes in private investigation services, detective service, investigator services and more. They service various areas in New York, including but not limited to New York City, Suffolk County, and Long Island. New York private investigators and private detectives of NY for confidential investigations with professional private detectives and investigators in New York. New York background checks NY pre employment screening including nanny screening in New York and NYC also including investigations in New York and the NYC area with experienced service ion background checks pre employment screening and nanny screening services. Suffolk County private investigators and investigations in Suffolk County with discreet private detectives. 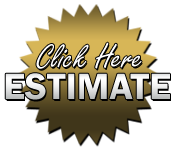 Long Island private investigations and private detectives and investigators doing investigations in Long Island. New York City background check and criminal background check and NYC employment background investigation and criminal investigation. Private investigator suffolk county and private investigator nassau county perform discreet business investigations, due diligence investigations, accident reconstruction investigations and computer forensic investigations in suffolk county and nassau county and new york city, nyc, as well as providing armed escorts as private investigators in suffolk county.